12 MARCH 2019, MADRID, SPAIN — Between the 9th and the 12th of March 2019, the World Youth Alliance Europe (WYAE) attended the European Youth United event in Madrid, Spain. The event was organised by WYA Spain and funded by the Erasmus+ project. The 4-day event brought together 40 young leaders from Spain, Austria, Belgium, Italy, Croatia, and Poland. 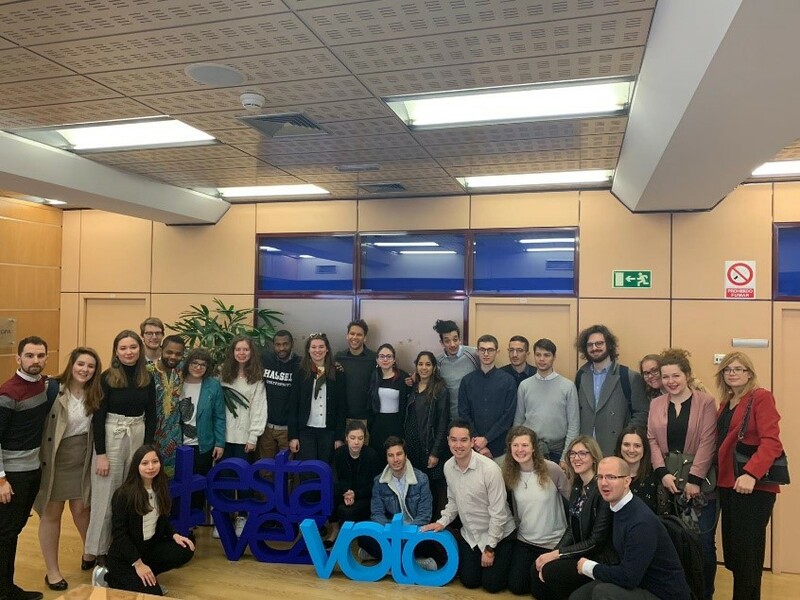 This event followed The Lisbon Strategy (February 2019) as a set of projects aiming at connecting institutions with civic society, and involving young leaders and youth workers to engage in policy-making processes. Involving young people in politics is a crucial issue in Europe, especially with the EU elections just a few months ahead. The project allowed young people to meet politicians and to discuss good practices of active engagement. Furthermore, the participants learnt about the European Union, its functioning, and the project resulted in the creation of a Youth Policy that will be presented at the new Parliament during our annual Emerging Leaders Conference in Brussels. By the end of the event, all participants received a Youth Pass certificate attesting their attentive and pro-efficient participation to the project. The article about the project will soon be released! Visit this page for updates on more upcoming events.